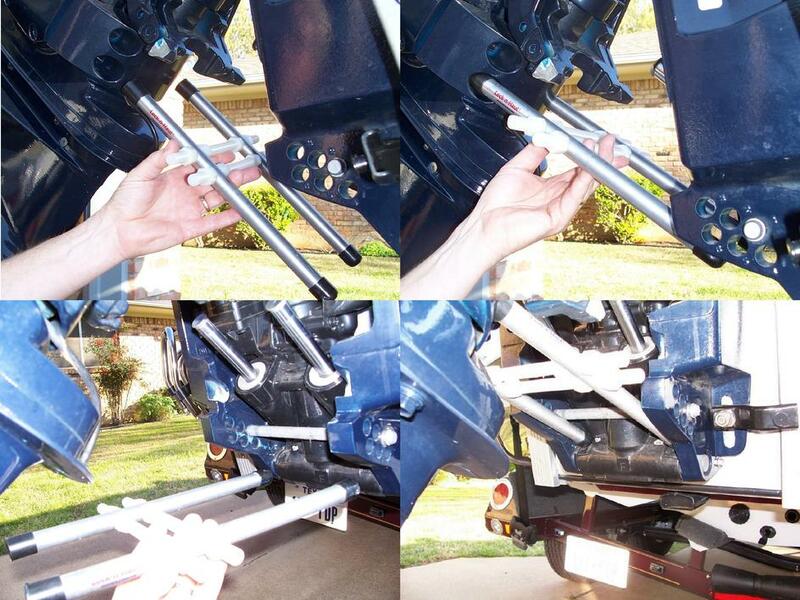 The Lock-n-Haul® motor toter - transom saver replacement is the world's first and only 4-point inline load universal fit outboard boat motor support made specifically for trailering. 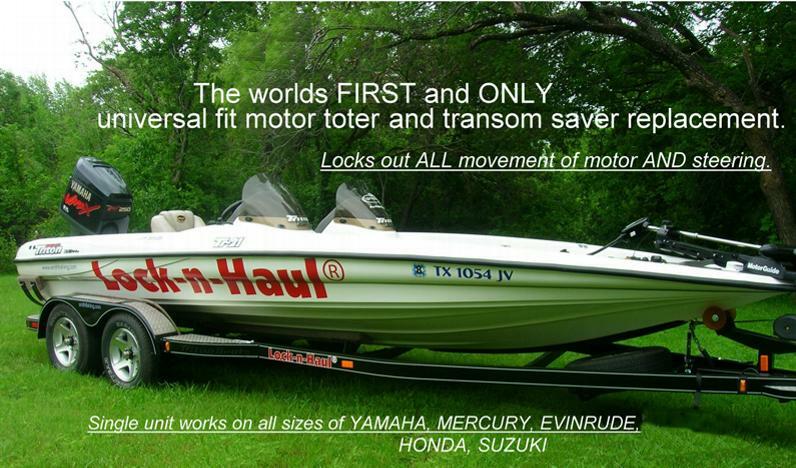 It easily adjusts to fit ALL outboard motor brands including most models and sizes with power tilt systems, on ANY BOAT. Width of setback or jackplate don't matter at all. 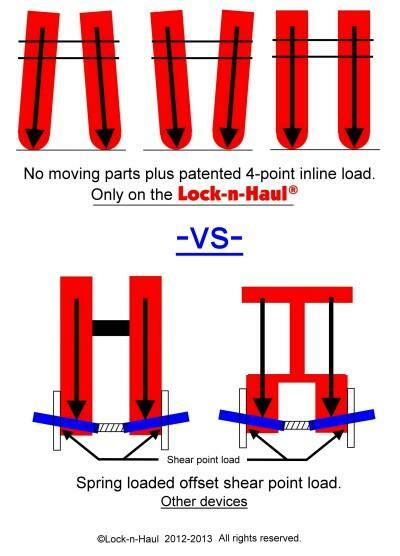 The Lock-n-Haul® doesn't need flimsy ‘steering clips’ that keep your motor straight (but not rigid)…. 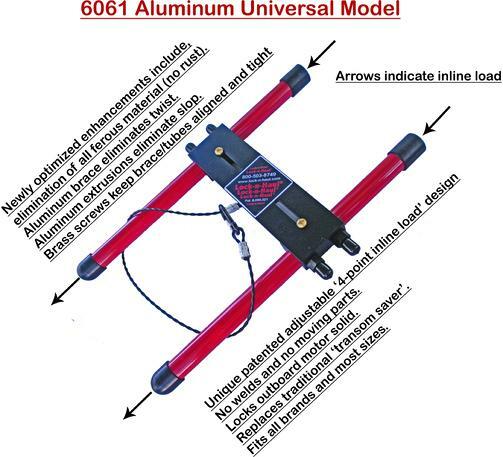 it has no moving parts to wear out….no welds to crack and break....no loose, weak, (offset shear point load) spring-loaded pins, that move and bend and allow the motor to shake….and it has no (short life) rubber cups, that have to be fully compressed to even begin to stop the motor from shaking. Unlike Lock N Stow or Motormate - "Compare it to any other product"
Nothing does a better job at any price. 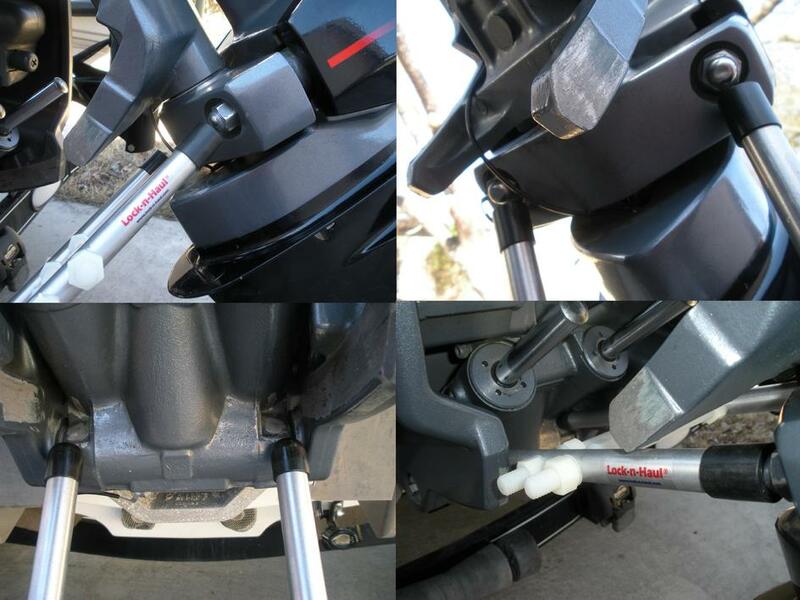 The Lock-n-Haul® is a one piece device that completely stabilizes the outboard motor and stops all harmful motor movement, by locking both the tilt and steering pivots. Convenient to stow in a small boat compartment when not in use. The Lock-n-Haul® is 100% machined to be a tough compact (13"x9"x1" footprint), lightweight (less than 1 pound), simple and effective device, and carries a two year warranty against manufacturing and material defects. Includes a quick clip safety cable as a retaining lanyard. Made with specific materials that offer superior anti-corrosion protection that won't rust and is safe in both fresh and saltwater environments. 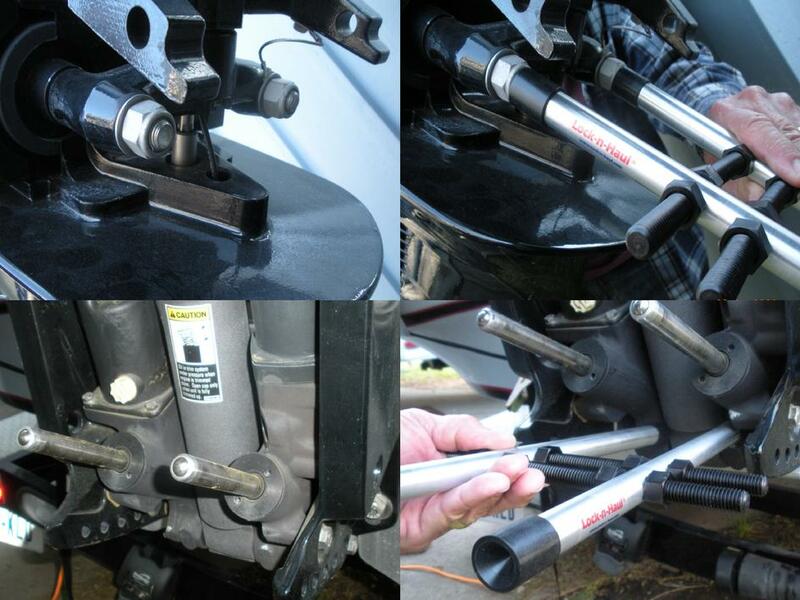 Protect your transom - completely stabilize your trailered outboard! Click images above to view fitups, or click the brand name below to view installation pictures.